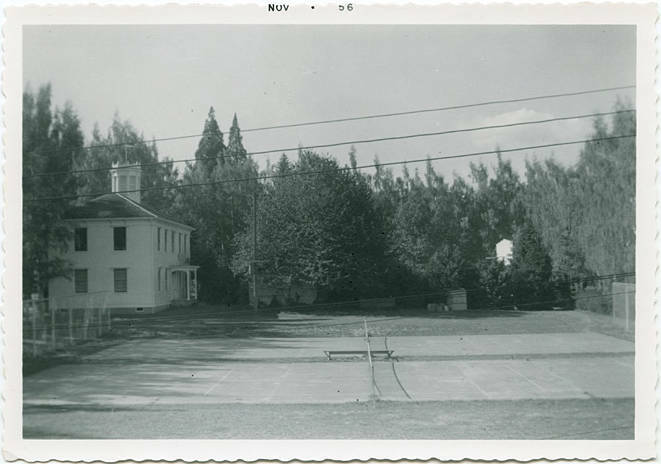 Photo of Old College Hall and the tennis courts in November 1956. Old College Hall was built from 1849-1851. This building has been moved around the campus and can now be seen on College Way. It is open one day a week for tours. The tennis courts were moved and rebuilt in 1983.